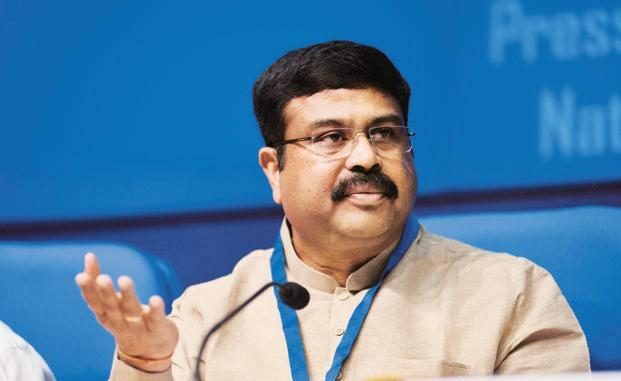 Bhopal: Union minister for petroleum and skill development Dharmendra Pradhan said that sector of wellness (beauty and nutrition) is growing at rate of 20 percent in the country and it has ample opportunity for entrepreneurship. He said that sector has gained momentum as PM has laid focus on skill development. The minister stated this while was addressing the 10th convocation of VLCC-DSYW at Samanvay Bhavan on Tuesday. Students were distributes certificates on the occasion. State minister for sports and youth welfare Yashodhra Raje Scindia, joint secretary, skill development, government of India, Rajesh Agrawal, secretary DSYW Sachin Sinha, sports director Upendra Jain and Beauty & Wellness Sector Skill Council chairperson (B&WSSC) Vandana Luthra were present on the occasion. Taking a jibe at congress party vice-president Rahul Gandhi for questioning PM on unemployment, Dharmendra Pradhan said that even he doesn’t have much knowledge about skill development as he has taken over the ministry 50 days back. “I first offered obeisance at Ujjain’s Mahakal temple and attended both the convocations—ICICI-DSYW in Indore and VLCC-DSYW—then I came to know about the importance of skill development. Beauty and Nutrition (sector of wellness) has ample opportunity of entrepreneurship,” he remarked. He said that when Indian economy opened for MNCs in 1990, everyone had a doubt that MNCs will capture Indian market like East India Company but VLCC has captured market of other countries. Pradhan said it has 400 centres in India and 14 centres in others countries. “It is source of inspiration for young generation,” he remarked. In her address, VLCC Health Care Limited founder Vandana Luthra said that when she started business in 1990, no one had imagined that girls would join the industry in such large numbers and this industry will provide employment to them. “It was very difficult to get bank finance for my unit. But now I have 400 centres in India in addition to units abroad,” she said.